Hiragana and Katakana are both composed of 46 basic characters. Hiragana is the original Japanese character set while Katakana is used to write foreigners words in Japanese. There are a lot of english loaned words. Katakana are also used to transcribe foreigner name. 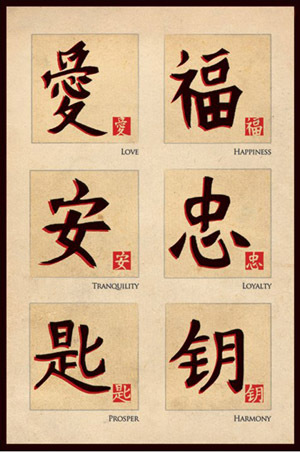 The Kanji (ideogram) comes from the chinese characters, and for reading the japanese newspaper, one need to know about 2000 characters, those are called the Joyo Kanji (main used kanjis). You need to know around 400 Kanji to survive in Japan. Most of the japanese words are made of 1 or 2 Kanji only, or 1 Kanji and some hiragana.